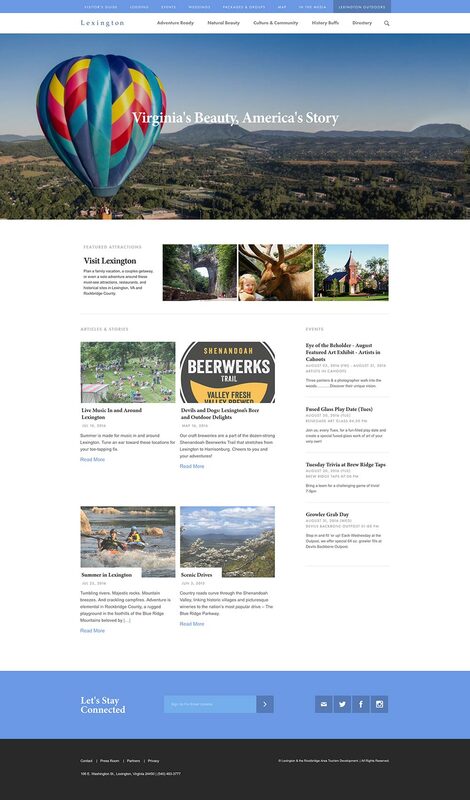 Visit the Lexington Visitor’s Center website to plan a family vacation, a couples getaway, or even a solo adventure around these must-see attractions, restaurants, and historical sites in Lexington, VA and Rockbridge County. Be sure and stop by the area’s visitor center, which covers Lexington, Buena Vista, and Rockbridge County for information and materials on nearby historical sites, vineyard tours, etc. An invaluable resource if you are new to the area.